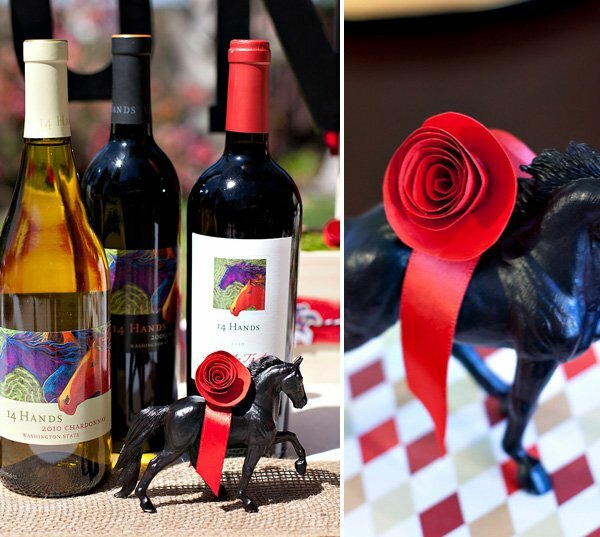 Looking for a crafty Kentucky Derby Party idea? Here you go! 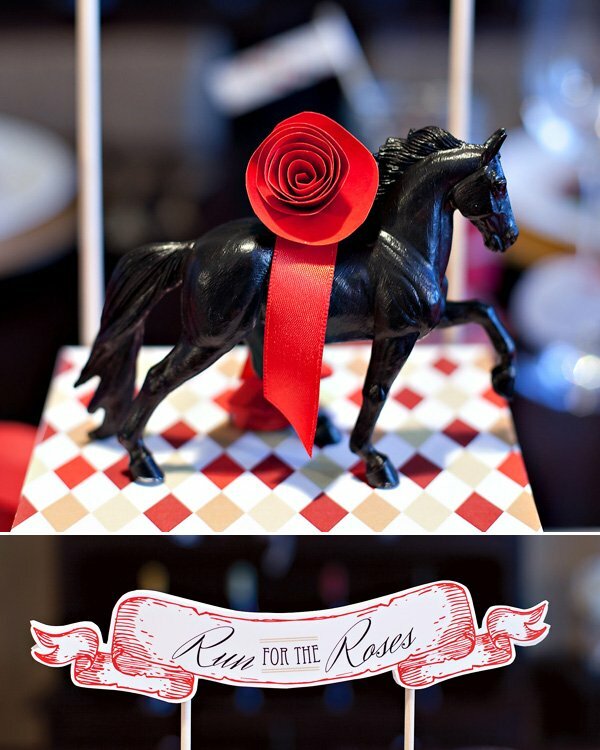 These paper rose adorned chalkboard horses are super cute and easy decorations that can be used everywhere from the table centerpiece to the buffet to the “Watering Hole” (i.e. “party drink station”). 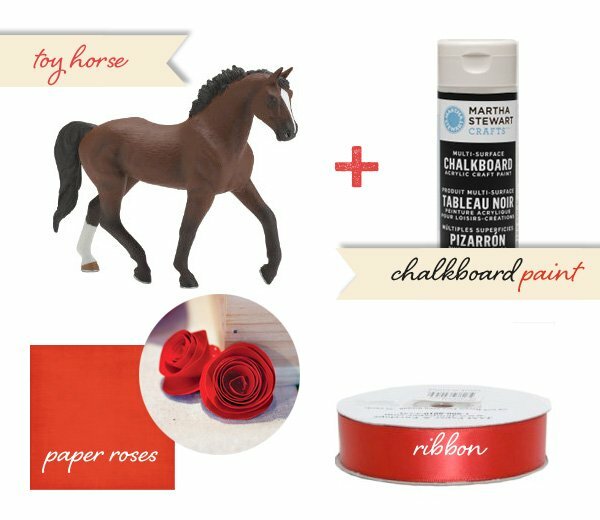 You’ll need chalkboard paint, toy horses, paper roses, satin ribbon, and glue dots. (I found everything at Michaels.) You can also use regular black paint, but I love the slightly rustic feel that the chalkboard paint gives. Click here for the DIY tutorial on how to make the red paper roses. Give each toy horse 2 coats of paint & let dry. Cut a short piece of red satin ribbon and angle the edges. 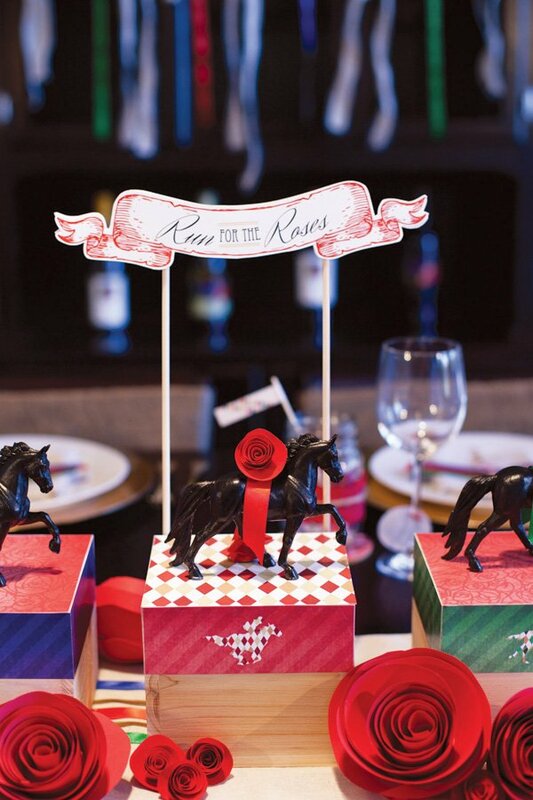 Use a pop up or 3D glue dot to attach the ribbon to the horse, then 2 more glue dots to attach the 2 paper roses on top, positioning them so that one rose is visible from each side. Done! 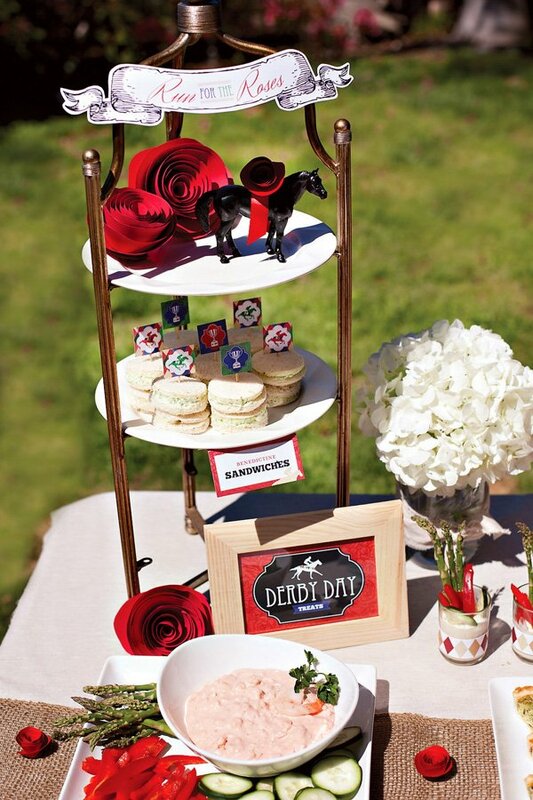 Super easy and very Derby party appropriate! Click here to view the full party, or scroll down to check out a few more shots of the chalkboard horses in action. Sometimes it’s the simplest decorations that make it all come together so nicely! The horses were a perfect touch! I love it! Where did you purchase the toy horses? What are the dimensions of the horse? Thanks. I found these horses at Dollar Tree. In the toy dept.